Thanks to my friend Dona from the US for giving me this.. It's so generous of her, always showering me with gifts!! I got almost all of my MAC makeup from her because of her 40% discount! LOL! When I researched this online, boy I was wrong!! You can use this powder on almost anything!! Read on to learn more =) Details taken from their website. True Colors shimmer powders can be used as eyeshadow, eyeliner, mascara, blush, bronzer, lipstick, nail polish, highlighter, temporary hair color, and every other cosmetic item. One pot of our mica makeup has enough pigment that other cosmetic companies will mix enough additives into to make hundreds of dollars. True Colors Cosmetic Powder is the most unique makeup that exists. It is pure mica powder with no additives or ingredients of any kind. Other cosmetics use fillers, which cause allergies, reactions, creasing, clumping, and are generally bad news for the skin. Mica is the basic coloring agent that colors all make up, and can mix with any base to color it. Try the following applications and enjoy your new collections! Use a sponge applicator, shadow brush or blush brush and lightly touch the mica (dust off any excess mica) and apply to the eyelid or cheeks. Use an angled eyeliner brush, dip it in water, lightly touch the mica, (dab it on your hand to remove any excess mica) and apply it on your eyes. Use your favorite clear gloss, pick out your mica color and apply it on your lips. You can also mix the mica with the gloss and then apply. Which ever you prefer. Dip your clear nail polish in any mica color and apply it to your nails. Wipe off excess mica before putting brush back into the clear nail polish. Use a blending brush, dip it in your mica color and start at the root and stroke all the way to the ends. For longer hold use it with gel or hair spray. Use your favorite lotion and mix it with a skin tone mica color, then apply it to your legs, arms and face. It will give you a beautiful and youthful glow. 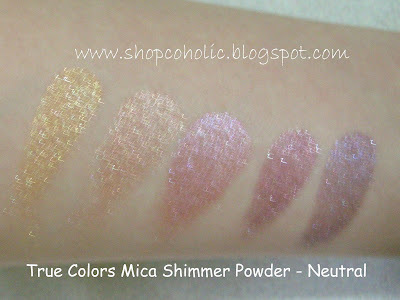 True Colors 5 stack Shimmer Mica Powder in Neutral I just love Neutral Colors!! * the packaging is unique and its easy to carry around. 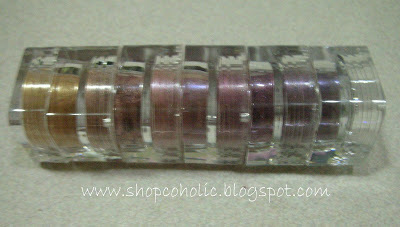 * i just love the shimmers!! * its mineral makeup, no allergies..
* its not available in the Philippines. 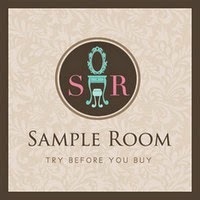 For more info about their product, just click here. Til next time ladies, Happy Mother's Day to all moms out there!! To my MOM MAE, i love you so much!!! happy mother's day to you sis! Con: they're really messy! I wish they came in sifter jars to control the splay of glitter that gets EVERYWHERE.